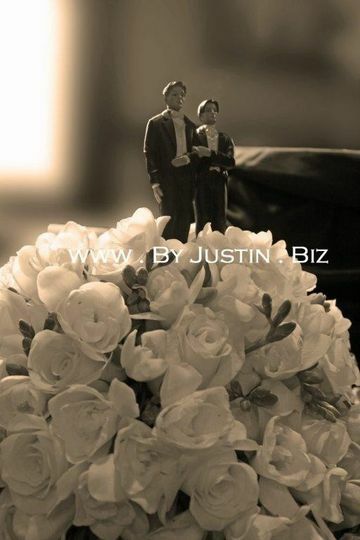 By Justin can help you with your most special event. 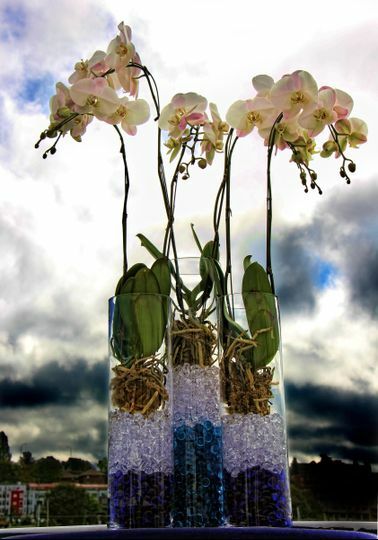 We can work within any budget and have creative and unique ways to enhance your floral experience and make your special event truly extraordinary. 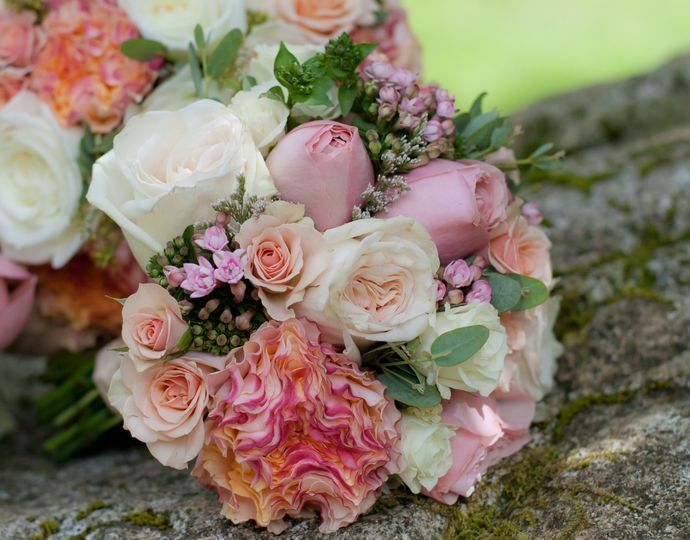 Mixed pink blooms for this new Mr. & Mrs.
Justin did an incredible job creating my wedding flower arrangements. At all times he was professional, reliable and flexible. He is great at understanding and capturing your thoughts. He goes above and beyond the line of duty creating you unique vision while keeping you within your budget. 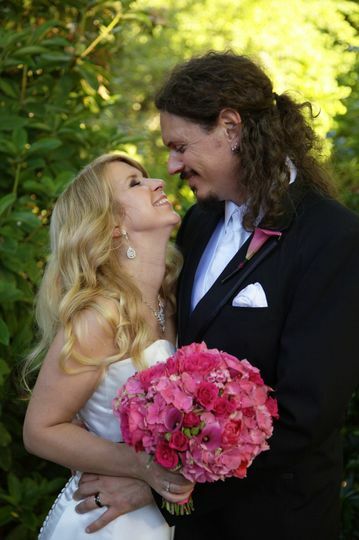 My daughter got married two weeks after me and her wedding was a success thanks to Justin's hard work, and his ability to coordinate all the details of a complex wedding. 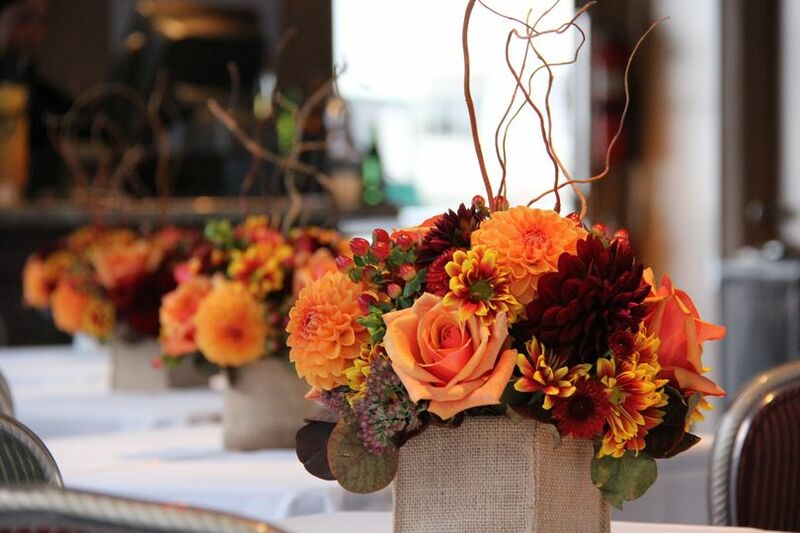 All of our friends and family were impressed with the beauty of all of our floral arrangements. 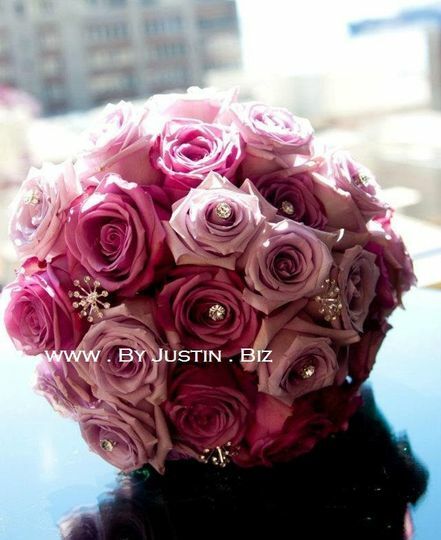 Thank you Justin for helping us to have our 'dream weddings'. Justin is amazing. I had the opportunity to see his work in other venues and was blown away. We were then lucky enough to have him work our wedding. We met with Justin and discussed our colors and theme and he blew away all expectations. 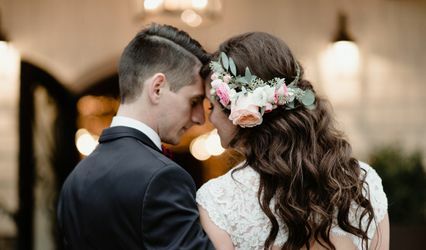 The venue was completely transformed and my wife and I had the most romantically perfect environment we could imagine. 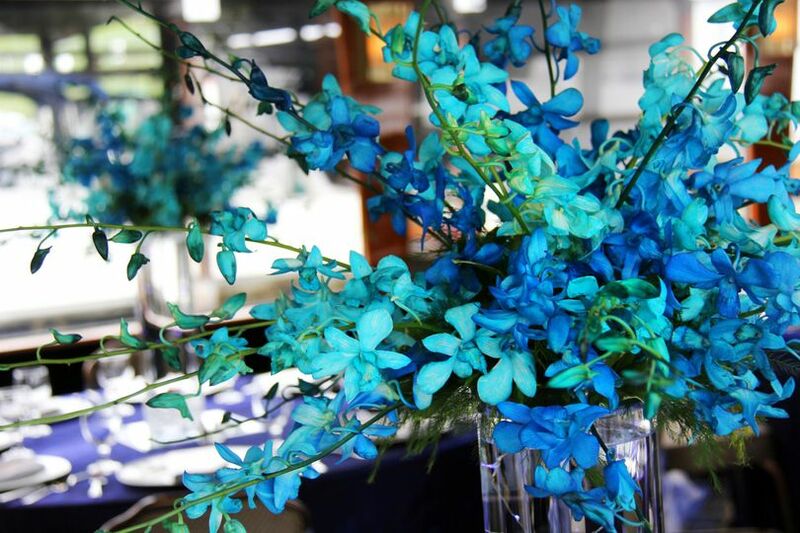 We were complimented all night about the arrangements, the bouquet and décor. 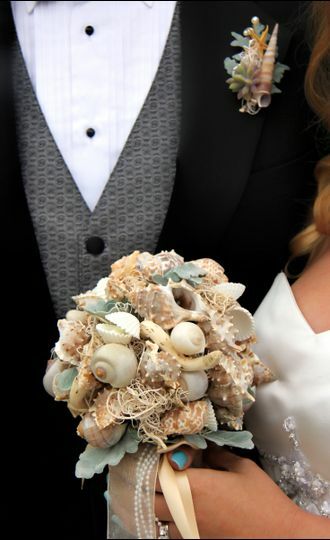 My boutonniere was like nothing I had ever seen before and amazing. This is definitely not off the shelf type stuff. We continue to get compliments on the flowers from the photos we have posted and I have referred Justin’s work more times than I can count. He is an amazing, warm, friendly and talented artist who is so easy to work with and comes through on time, on budget and beyond expectation. With all the stresses of planning a wedding, Justin was the one piece that we never had a moments worry about. I cannot say enough about him or his work. Thank you Justin! Every step of this process was easy and fun. Justin worked within our budget and provided above and beyond what we had expected in both product and support on the day of our wedding. He seemed to delight in every detail and roll with every change. 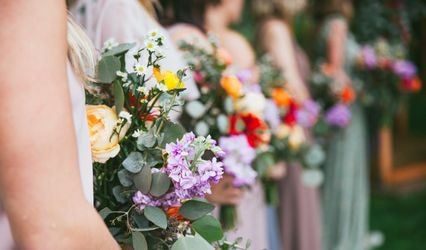 The flowers were beautiful and elegant, creating the statement that took our wedding venue from a place to an experience. Justin's service, input and support removed all the stress from our day which seemed to flow effortlessly and seamlessly. 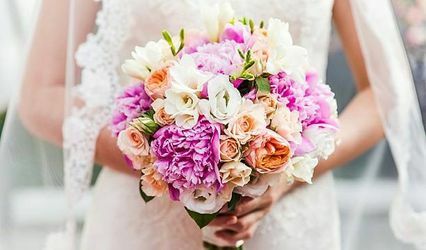 The professionalism, experience and joie-de-vivre Justin brought to our event has made me want to hire him to celebrate every birthday and anniversary, every holiday and every regular day, after all, how good would life be if every day ended with the beauty, enthusiasm and charm of a brilliant florist? Everything was that good. Really. 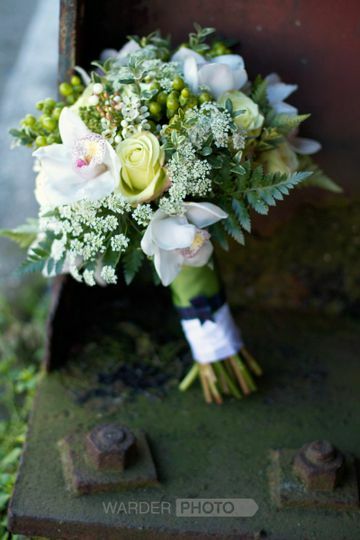 By Justin floral is simply amazing!! Justin can picture exactly what you want and make it real. Great company to work with, I highly recommended!! !